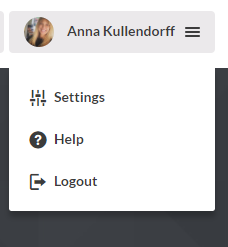 Click “Settings” under your profile name in the top right hand corner. Add your company logo under “Customization”. We recommend you to upload rectangular images. Circle images can also work fine. The minimum size is 110 x 110 pixels, but we recommend you to upload larger than that to make it look better. Images with high dimensions are compressed to fit the frame.